You are here: Home / Beta Readers / What makes a good beta reader? 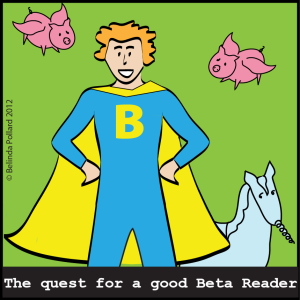 What makes a good beta reader? Last time we talked about what is a beta reader and why you need one. 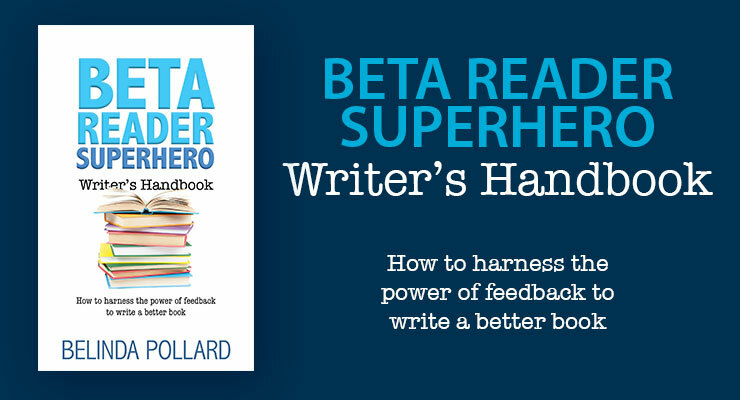 A beta reader gives you feedback on your finished manuscript, so you can adjust it before you self-publish or start querying literary agents. 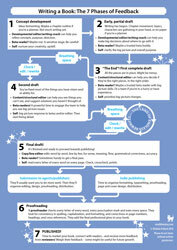 They help you identify any problems with the readability, usefulness or saleability of your manuscript. A good beta reader can help you make your manuscript 10 times better than it was before. Even experienced writers need second opinions on their books. But how do you find one of these magical creatures? Where do I find a good beta reader? Good beta readers can be found gathering in little groups just to the left of the pot of gold at the end of the rainbow. But seriously… I won’t lie to you, it’s not easy to find a good beta reader. But it is possible. 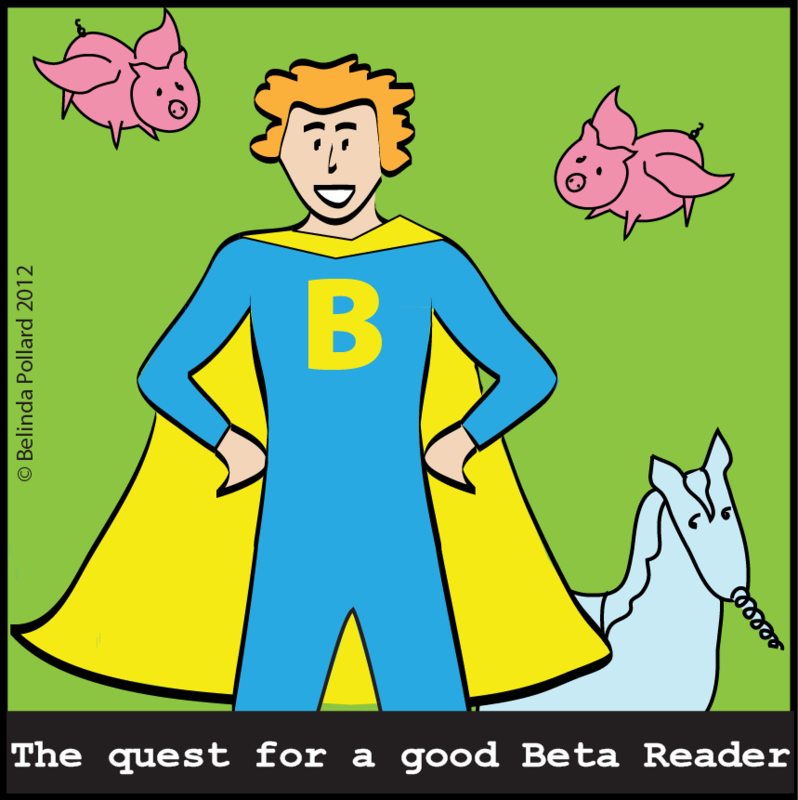 Today I’m going to list some of the characteristics of the “ideal” beta reader. Don’t forget that I said ideal. You will have to pick and choose among these characteristics, to decide which ones are most important to you and your book. Think about them, and don’t rush yourself. You’ll begin to get a feel for the people you know who could fit the bill. You’ll begin to understand which aspects are more important to you and your book, and which are less relevant. 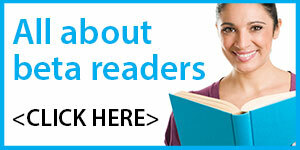 The ideal beta reader is in the target audience for your book, in terms of age, gender, interests etc. That way they will respond to your book in a similar way to the intended reader, without having to think about it. If they are not the target demographic for your book, they have the publishing savvy to be able to put themselves in a hypothetical reader’s shoes. They can see the strengths of something that may not actually appeal to them personally. They are opinionated, but they know how to express their opinions without killing your dreams. Ideally, you want someone who knows what they think about things and isn’t afraid to say it, but also has the ability to say it kindly. They can criticise in a way that makes you feel hopeful about what you can do to fix it, rather than sinking you into despair. Yes, this is a tricky one to find! If you have to choose between “too brutal” and “too kind”, you’re probably better to go for the “too brutal” person, painful as that may be, because you really do need to hear the truth. But consider wearing body armour and a foil hat when you read their beta report. 😉 Also keep chocolate (or mood booster of choice) on hand. They are not so close to you that they will find it hard to say things you don’t want to hear. Some best buddies will have the ability to speak honestly from the heart, but others will hold back because they don’t want to hurt you, and they value the relationship more than they value your book. Keep this in mind if you’re thinking of asking a best buddy to do your beta read. Can they be frank with you? Does the connection you have with them allow honesty without sustaining damage to the relationship? Weigh this up, as you decide whether or not to ask them. Most likely they are not your mother or life partner. Yes, this is a bother, because that was someone you maybe could have asked! But in general, they know you too well and it colours what they read. They don’t read with fresh eyes because they are putting it through the filter of all the things they’ve ever heard you say, and the events they know have happened to you. There are always exceptions to this; some close relatives can stand back and give you an objective perspective. But many can’t. Weigh it up. They are regular readers. If you’ve been to their house, it probably has plenty of bookshelves in places where you can see them. Maybe they often mention a book they’ve read. Ideally, they read broadly, not restricting themselves to just one type of book. Ideally, they are neither a book snob who only reads impenetrable “literature” and sneers at the unwashed masses, nor someone who never reads anything other than short, trashy novels. A good mix of popular and literary reading, as well as an interest in non-fiction books, will give them a broad perspective which they can then bring to your beta report. If the target audience for your book is people who don’t read much, you might deliberately seek one or two beta readers with that characteristic, just to check if the book is working for them. 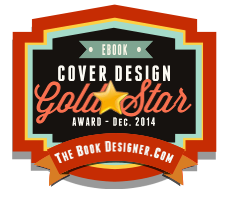 If a non-reader says, “I couldn’t put it down,” you know you’re on a winner! They read the genre you are writing. It may not be their favourite, but they need to have some experience of it. Someone who only ever reads sports biographies won’t be the best judge of a paranormal romance thriller, because they don’t know how to recognise the techniques and preconceptions of such a book. Someone who reads your genre — often and by choice — will be familiar with the way such books tend to be structured, without even having to think about it. They will have an instinct for what works and doesn’t work in terms of plot or structure. They will recognise where you have broken the established rules, and be more likely to evaluate wisely whether or not you’ve gotten away with it! They are very often writers themselves, because fellow writers understand the challenges of creating a book-length manuscript in a way that no one else can. They are also less likely to think less of you for using a dangling participle on p214, because they know that’s only a tiny part of what makes a writer. Fellow writers are also motivated to help you with your book, because they know how much they appreciate help with their own work. They comprehend the value of a good beta read. Ideally they have never read your manuscript before. Fresh eyes will give you the best value from your beta read, giving you the kind of untainted response that you’d get from a person picking up your book in a store. Some critique group members can have the skill to step back and give you an objective view of your manuscript, even though they’ve been hearing about it for some time. But many can’t. Weigh this up. To get around this, you might ask a couple of your critique group to be beta readers, but also try to have at least one beta reader who knows nothing about the book. They understand what makes a good book, in terms of things like plot development and characterisation, structure and purpose. They understand what creates suspense, and what draws a reader on to keep reading and reading till the end. They recognise what creates a good resolution, and what falls flat. In a non-fiction book, they comprehend the value of theme and a cohesive structure. They recognise the difference between what your school teachers told you was Proper Writing, and what represents a writer’s “voice”. They are not afraid to deviate from “technically correct” if there is something that actually works better, and communicates more effectively. They can weigh up your eccentricities as a writer, and give you an opinion on which ones are making your book come alive versus the ones that you probably should ditch because they’re just clunky or obstructive. They understand what is relatively unimportant in a first beta read. I’ve seen manuscripts dissed by beta readers because there were a few typos, because the reviewer was someone who’d never seen a book-in-progress before. A few typos doesn’t make a bad book. (A lot of typos might, but that’s a topic for another day. 😉 )A copy editor or proofreader can fix a couple of typos. I’m not suggesting we don’t try to be accurate as writers, just saying that a good beta reader understands that a few typos will happen, no matter how good a writer is, and there are bigger issues to look at in deciding whether or not a book “works”. If your book is in a specialist field, they have knowledge and experience in that field, or at least a strong interest in it. For example, if your book is about nuclear medicine, you probably want a beta reader who knows something about nuclear medicine. If on the other hand, your book is Nuclear Medicine For Newbies, you’ll want a beta reader who knows nuclear medicine (to make sure you’ve got the science right) and another beta reader who doesn’t know nuclear medicine (to make sure you have adequately explained it for a non-expert). If your book is set in a particular exotic location, it can be handy to have a beta reader who knows that location well. They can tell you what doesn’t ring true. But then it can also be handy to have a reader who knows nothing about the place. They can tell you if they got a strong sense of place and weather and topography — if the location came alive in their minds. Weigh up which would be best for your book. For example, in non-fiction, it might matter that you have been accurate, whereas in a novel, it might be more important simply to have built a believable world, whether or not it matches absolutely with the real place. Ideally, they are savvy about the publishing world and have good instincts about what it takes to get a book noticed by a literary agent or a book buyer. 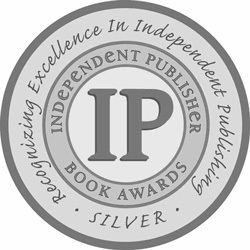 They are familiar enough with the state of publishing to know that self-publishing is no longer the poor cousin, and traditional publishing is in a state of flux. They understand at some level what makes a person buy a book in a store versus on the internet. 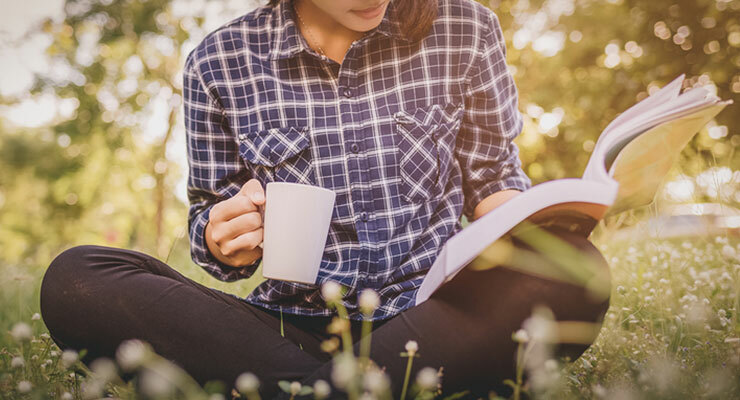 They often know the latest books that have been successful, but they don’t think aping those books is the only way for you to succeed, or even the best way for you to succeed. So I guess as you read that list, 14 or 15 names sprang immediately to mind, wonderful people who can tick every box and can also be available at short notice to read your magnum opus, and all you’ve got to do is try to decide among so many options which people to honour with your beta reader request. 😉 No? Oh, and did I mention that you need to get not just one, but 2 or 3 or 4 people with these characteristics? Remember that it is an ideal list. You are the creator of your book, and the best judge of what kind of input it needs, depending on what its purpose is and what you plan to do with it next. Sift through these ideas, think it over, and in time, ideas will come for who you could approach. 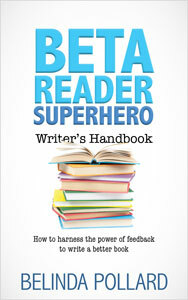 What is a beta reader and why do I need one? Thank you for that blog post. I found it to be thoughtful, thorough and helpful. I’m including a link to it in my email to potential beta readers. Thanks for your feedback, India. I’m glad you found it helpful and I hope it’s useful in your email too. Thanks for stopping by! ps – a quick question, do you proof read as part fo your editing job, and if so, do you ever proof read book on the screen or do you always proof read a paper copy? Hi Marianne, they tend to congregate with the other mythical creatures at the bottom of my garden! ;-p But really, the right match for your particular project can be found if you try hard enough and look in the right places. 1. Yes I do a few proofreading jobs, but I don’t proofread a book I’ve edited. It needs a fresh eye, so I get someone else to proofread my editing jobs, or else I proofread books I didn’t edit. I suspect we also need a post on “how to be a good beta READEE”. Er, in case that is too obscure, I mean, good recipient of a beta read. We need to be open to hear what they have to say, and yet robust enough that we can cope and not be destroyed by discovering our plot holes and character flaws. 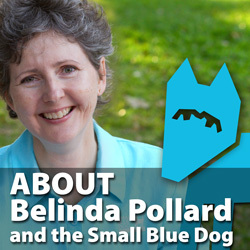 BeLinda … (unique spelling or mistype?) 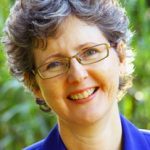 as a beta reader myself I found your article both complimentary and VERY useful information for new writers. I would think there would be many writers like me who enjoy working with new writers, but maybe they are too busy writing, whereas I prefer working with others. Thanks for the articles. Thanks William, I’m glad to know you find the beta reading process as beneficial as I do. I’m totally committed to it, and am about to send a manuscript of my own out to my beta team in the next few days! I have a question about being a beta reader. I consider myself a baby writer I have plenty of manuscripts that I can’t seem to finish writers block once I get a certain length in. but I attend church with a new York times best selling author her husband is my vet and according to your list I’m a check to alot of characteristics wanted in a beta reader however I don’t know any writers and have never been around any so I didn’t know if it would be socially acceptable to offer myself to be a beta reader or if that was out of line? Hi Katie, yes, I understand your concern. A better way to approach it might be to ask her if you can talk to her about the topic of beta readers: how she found hers and how she recommends you find some good ones, and if she knows anyone who might like to have you beta read for them as that’s something you’d love to do. That way, she has the option to say, “Oh, would you read for me?” but she can also just give you other suggestions, and so you neatly sidestep that awkward question of whether she thinks you are “good enough for her” or not. Thanks so much for your post Belinda. Really helpful as I’ve been mulling over exactly this. I have a couple of beta readers, but not in my target audience. It’ll soon be feedback time for my new novel, so I need to find at least one more. Not easy, as you point out. Wish me luck! This is a fantastic post! I’ll definitely be bookmarking this post and linking back to it when I need my own proofreaders. Thank you for this most informative post. I’m definitely not far enough in my WiP yet to begin searching for Beta readers, but I have saved this post in my favourites folder! Excellent, excellent points. I’ve used betas for the last three books and they have found great, gaping plot holes, inconsistent character development and some things that were technically possible here in Australia, but not in the US (where that particular story was set). It’s the last point I’d like to expand upon. If you are setting your novel in a place you aren’t, have never been, or haven’t been in a long time, try and get yourself a beta reader in that country. In one of my books I had the protagonist switching SIM cards in her mobile phone to evade the police and her attacker. Easy thing to do here in Australia – not such a simple thing in California. Fortunately I had a beta reader in the states who pointed that out. Had to re-write half a dozen scenes, but it was necessary. So, yes, get a beta reader or six, listen to what they say and if you agree (and you don’t have to, all the time), thank them very much. The other way in which I find it handy to have international beta readers is for jargon, slang and basically just ways of expressing things that mean something in one country, and are perplexing in another. Two of my beta readers for my current ms were American, and I’m Australian. All I need to do is ask them what doesn’t make sense to them. They don’t have to agonise over it like I would have to; they just know. With self-publishing especially, books must be international these days, no matter where they’re set. Thanks for the useful comment! Exactly. My latest is set in North Korea. In the book I have a Canadian visiting there try to thank their host for their meal and wanted to make sure I was “saying” it right. I asked on twitter for a Korean who could help and one of my betas mentioned they were still in contact with a South Korea exchange student who stayed at their place. Serendipity. I emailed him what I wrote, he made a few small changes and I was set. Now THAT is Twitter doing its stuff, Tony!! Great post. Now someone needs to make a post helping beta readers find authors. Beta reading is satisfying for me, helping out other writers. I belong to a small writing group, and fully realize how much a beta reader can help. I guess what writers should understand is that beta’s might be found at the end of the rainbow, but it’s just as difficult for us to connect with writers as it is for them to find us. We’re out here, anxious to read and help. Keep looking! Thanks for the post! I agree tremendously; however, there is something still throwing me for a loop. I have no problem coming up with names of people who’d be good beta-readers. The problem lies in finding people who actually dedicate the time to do the reading. Now, I’ve questioned the content of my book. Maybe it’s just bad and the people I’ve passed it along to just can’t put themselves through the agony of finishing it. But at least half of my readers contacted me! They asked me when they could read it. Expressed so much excitement and urgency… but now that it’s been several months since I’ve handed my manuscript over, I’m beginning to feel a bit lost. So sum up, HOW do you find beta-readers that actually follow through instead of getting caught up with their own busy lives and leaving your masterpiece to collect dust on their coffee tables? If I could answer as a reader. You really need to ask the beta when/if they have time to read your work. I was asked to read a novel at the end of the month and agreed, but told the author that I’d be gone a few weeks, no internet access. I can still do the work on my laptop, and with no internet access I’ll have plenty of time. But I can’t return it until I get back. A good beta will tell you if he/she has the time and if not now, when they will have the time. If you think you have a genre/topic/issue problem, then let the beta know a little bit about the book first, ask if they’ll like it. Most will be honest with you and you’ll be able to judge whether you’re willing to wait, or if you need to find another reader. Also, if you have a deadline let the beta know. Sometimes I’ll make time for a writer, if they have to submit to an agent or editor within a certain time frame. Communication is the key. Great answer, Jen. I agree about setting deadlines, and communication. Michael, when I invited my initial beta readers, I told them I needed it back on a certain date, six weeks away. I told them I realised that it was a huge ask, and if they could not do it in that time I would entirely understand. Both got back to me in the time, with great stuff. One apologised profusely that the beta report she had supplied was rushed and not to her usual standard, despite which it was STELLAR! My third beta reader, who read after I’d made all the changes in response to the first two, knew I was on a deadline and we communicated back and forth regarding what would be suitable for her. Thank you both for your responses. I do need to have better communication. I guess for the few readers who asked ME for my manuscript, I just didn’t feel like I had the right to ask those questions. But for the others, I will clear the air, respectfully. I mean, they are doing me a favor. Even those who ask you to read your work, you need to be clear with them too. When they ask if they can read, when I ask to read something, the beta really wants to help. If they get it back too late, take too long, don’t give the feed back you are looking for etc. then they aren’t helping. You don’t have to be mean. If someone asks to read just say sure, I’d love for you to read it, but I have to have it to my agent in X amount of time or I have to submit it to such and such magazine while they’re still accepting submissions. You can be appreciative of their time, and let them actually help at the same time. A lot of non-writer type betas don’t understand the deadlines, that magazines are only open for submissions at certain times or really the day to day business side of writing. Sometimes it helps them help you just to let them know the issues you are dealing with. 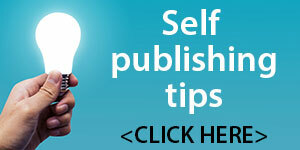 And if they are interested in reading for you, they are generally interested in what you have to do to get published. I feel your pain, Michael! So hard to hurry people who are doing you a favour. Just an idea… You could perhaps ask them if they have even a couple of quick observations they could offer. That way, if they still really want to do a full beta report, they might speed it up. And if they now find themselves snowed under, you’ve given them the opportunity to bow out gracefully. Saw your comment, and wondered what your prerequisites are for reading someone’s work. I am a screenwriter who has just finished a novel, and am looking for feedback. The novel is about a mentally challenged 12 year old boy who takes his little sister on a quest from Florida to Hollywood to find “Dr. Ned,” a television character. The boy believes Dr. Ned can save his sister who has a terminal illness. Along the way they are helped by various people, including a serial killer. The story has supernatural elements and deals with the grey area between life and death. If you would be interested in “beta-reading” something like this, please advise. Thanks. I’m currently seeking more work as a beta reader. I currently have worked multiple manuscripts for Josie Brown and Luke Romyn. Both of whom you will find very accomplished on amazon. I fit nearly all the above listed criteria, save for expertise in nuclear medicine and travel to the actual Amazon. Though, I have been to the south of France! Please consider me for future publications. Please request references from Luke and Josie, they’re beyond happy to provide them. Their email addresses are available on their websites. You can also find them on Facebook. I was reading all these comments and your book sounds very interesting. I can’t wait to see it published. Good luck! Hi Jo, usually a beta reader reviews your completed manuscript. But that’s not to say you couldn’t find someone who would be willing to give you ongoing critique. Connecting with writing groups, or writers you meet at writing workshops, can help you find someone who’d like to partner with you in this. If there’s no writing groups near you, or you find it hard to squeeze another meeting into the hectic schedule, try online. For example, you could google “find a critique partner”. Thank you Belinda! It’s really difficult for me to find a group locally because I live in a very small town. I’m glad to know I’m not alone on this one. What great suggestions for beta readers! I might add that you should know the writers your beta reader admires and ideally share that admiration. If you are on the same page on this, you are more likely to help each other. I’ve been fortunate enough to have had two writing buddies in this journey, but now as I near the end of this second draft, I feel the need for a few sets of new eyes. Is that list I read here still on? I am told I am an excellent beta reader and would be happy to do an exchange with someone. My story is about a working class Irish Catholic in the Bronx in 1960’s who attempts the rise to another class with a move to Florida. It doesn’t work out so well. Thanks for anyone’s help out there. I notice the last reply was from October 2012. Is this still going? I do hope so! Hi Maryann, thanks for stopping by. I’m thinking an interchange where people could find each other would be a good thing. I’ll ponder that for a while. People are obviously very interested in the beta reader topic, and finding a good beta reader is a challenge for us all. And in the meantime, I hope your comment gets read by someone who can help you with your book! And I hope it goes really well. Maybe there is something to this. Starting a site specific to linking beta readers together. Maybe it already exists, but if it does, I haven’t found it. I’d be happy to talk about exchanging manuscripts: michaeldamonmoody@gmail.com. Regardless, this thread and this topic is invaluable. Thanks Michael, I hope Maryann has been in touch. If not, click on her name to get in touch. I’m working on something to help with this. So many people need it. Great, informative post! I’m almost to the point in my novel project where I’ll be starting to sniff around for beta readers, so I’ll bookmark this for future reference. I’m fortunate enough to still be in college (for one more month!) and surrounded by writers whose interests and strengths I am familiar with. For people who go or have gone to college for creative writing, it is a great place to find readers! Hi KJ, glad you found it helpful. That is fantastic, being surrounded by potential beta readers. Everyone is now jealous. 😉 And you are right that hanging out with other writers — in real-world or online situations — is a great place to find your ideal beta reader! How do I become a beta reader? I love to read, and do so constantly. 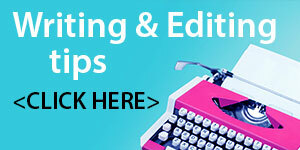 I have experience as a newspaper typesetter and proofreader, as well as some basic editing. Hi Opal, there are some people who would no doubt love to meet you! I’m working on a solution, to help beta readers and writers find each other. Amanda, the internet is definitely your best chance in that kind of situation. Lots of people have the same problem, that they are not in a geographical position to meet lots of potential beta readers. If you google “critique partners” there are quite a few options that come up. Try trawling through those. I hope you have some success, and will be looking forward to hearing how it goes. Are you still interested in being a beta reader? If so, please leave your contact information. Hi Maria, were you wanting me or one of the other commenters to get in touch with you? Great timing I am about to send my picture book out to my beta readers, thank you for the great useful content in here. Very helpful. This is my first time visit at here and i am genuinely happy to read all at single place. This is still a great post. Glad to see it’s going strong. And Ms. Pollard, if you ever set anything up to connect readers with writers please let me know. I’d love to sign up to read. I can check off almost everything on the ‘ideal’ list. I generally don’t like to read non-fiction, because I’m probably not knowledgeable enough to critique it properly. I stumbled across your blog while researching for a conference session I will be moderating in October. Thank you for such Great Information, such a great blog! I’m filing away for my own research as well. Thank you! Thank you for sharing this great advice! I’ve just started beta reading for some of my fellow authors and I absolutely love it. After reading your post, I feel a lot better about my approach to their manuscripts. I was a bit worried that I wasn’t critiquing them the way I should. Thanks!! It just got a little easier to find a good beta reader. I’m an author who had a very good experience with beta readers. So good that I put together a bulletin board http://www.betareader.us for readers and authors. I found fantastic support and proofreading at a very affordable price. 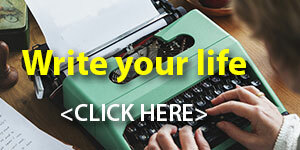 I absolutely love this site, and would love to join it; just don’t want emails everyday. So, how do I join without being flooded with emails? This is a very interesting as well as informative blog/site. are a great author. 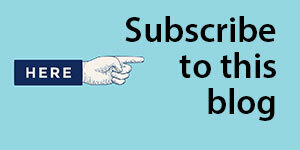 I will make sure to bookmark your blog and definitely will come back in the foreseeable future. Marvelous, what a webpage it is! This blog provides useful facts to us, keep it up. Thank you for sharing your wisdom and experience. I am just finishing the last chapter of my very first book. I’ve lined up 3 friends to help me edit/beta read and now, having read many of your posts I know how to label each person, and what projects/guidelines to give them. I can still hear “the background music as I’m adding up editing costs at $100 an hour.” Sheesh! I’m really glad I have lots of smart friends who have lots of books on their shelves. We select eight to ten targeted beta readers per manuscript, and the results are a 35+ page report full of both qualitative and quantitative feedback. 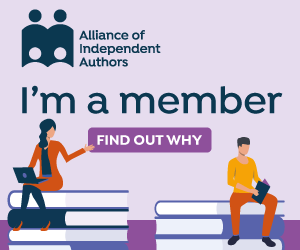 Authors can add two to three personalized questions to the survey, and a BookHive rep goes over everything and next steps with the author in a 30 minute SKYPE or phone call. Thanks for listening!! I’d be grateful for any advice! Thanks and cheers from Austria! Hi Claudia, have you considered putting the word out to the adults you know who are writers, asking them if they have teen children who might be interested/able to help you? If you’re connecting to adults on social media, many of them will be parents. Hope that helps! 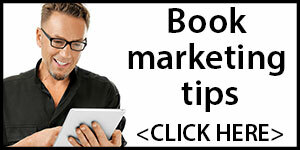 Claudia – I have a bunch of teen beta readers as part of my company BookHive Corp. that are willing to test manuscripts. I write YA myself and my idea of creating a more organized beta reader process for myself (and now other authors) came out of wanting to know what teens really thought of my work. If I can be of any help, feel free to email me or check out my website. I’m also happy to pass on a $100 coupon code. Thank you for this. I recently joined an online writing group, and the experience of helping and getting help has been fantastic. After I’d done a few chapter critiques, I was asked to be a “beta writer,” and as a newbie I needed to fully understand the responsibilities. You really explained it well, and I appreciate that. Thanks for your feedback, Robert. I hope you really enjoy the beta reading experience. It can be so valuable, both for our own manuscripts, and for helping us grow as writers. This is wonderful. I would like to mention it in my blog next week and provide a link to the article.